A fantastic shaving gel formulated with Lavender (soothing) and Peppermint (freshening) that leaves your skin feeling fresh, cool and soft. Just a very small amount is needed so this product lasts a long time! Mild & gentle – suitable for all skin types. Cleanses effectively whilst not stripping the skin of is’s natural oils. 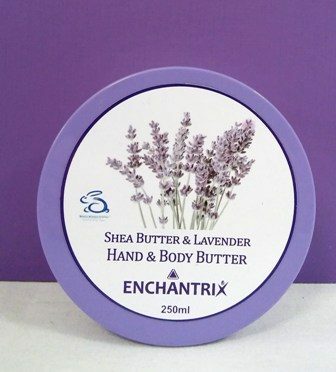 Contains essential Oils of Lavender, Geranium, Rosemary and Lemongrass. This is our best selling product! 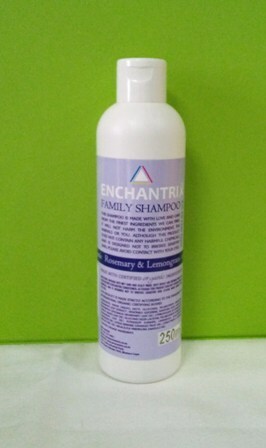 Contains a number of essential oils which benefit the scalp and hair, whilst imparting a delightful fragrance. 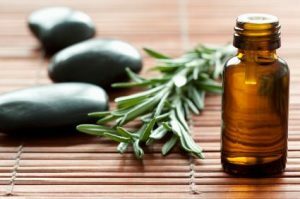 The oils used are: Rosemary, Lemongrass, Geranium, Lavender, Orange, Lemon & Niaouli. A little goes a long way! 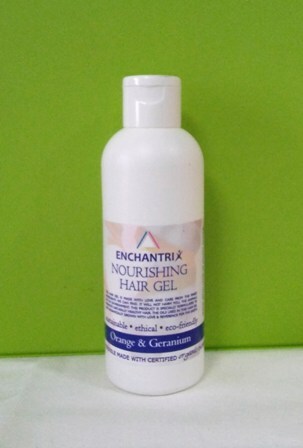 A versatile hair gel which can be used on wet or dry hair. 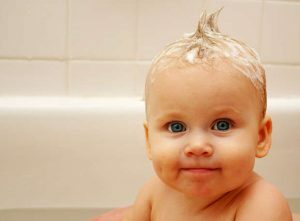 It also provides nourishment to the hair and does not leave a sticky residue. 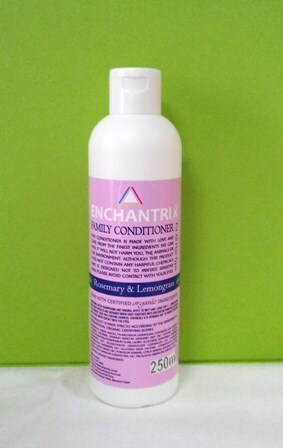 A Beautifully nourishing, softening & detangling conditioner that works synergistically with our shampoo. 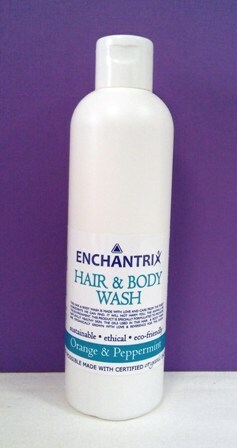 Formulated using essential oils of : Rosemary, Lemongrass, Geranium, Lavender, Orange, Lemon & Niaouli. Think again! Disturbing scientific research has, for years, produced evidence that many ingredients in personal and home care products can pose serious long-term health risks such as cancers, skin disorders, allergies and asthma. Couple this with the pesticides, fertilisers and other harmful chemicals from farming and industry which pollute the water we drink, food we eat and the air we breathe, and we see why we are being forced to choose safe natural alternatives. Our products have been made with love and respect for our fragile planet and her inhabitants. They have been formulated to be effective and safe for you, your family and the environment. A Refreshing all-in-one orange and peppermint wash that’s suited for use on hair & body. Ideal for travelling. 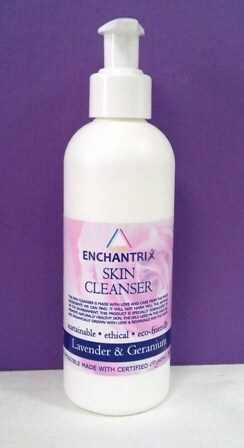 The Enchantrix hand wash is formulated using sesame oil and lemongrass, making it an effective hand cleanser with antibacterial properties, which will leave hands soft and beautifully supple. 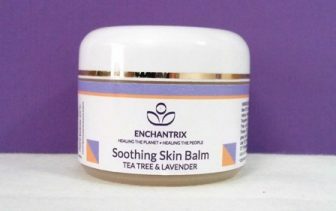 This cream is suitable for eczema, insect bites, rashes, cuts and bruises. It will soothe and heal many skin disorders. 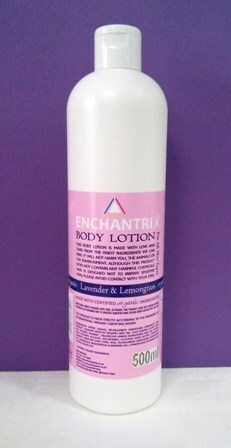 A Fabulous body lotion, made with cold- pressed organic vegetable and essential oils. Perfect for the whole family – including babies. Find your nearest stockist! 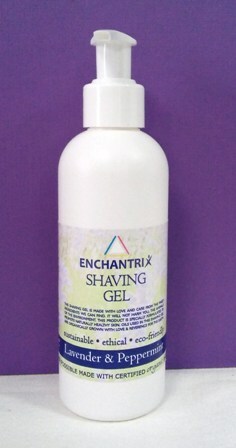 A detailed list of shops currently stocking Enchantrix products. using the South African post office.